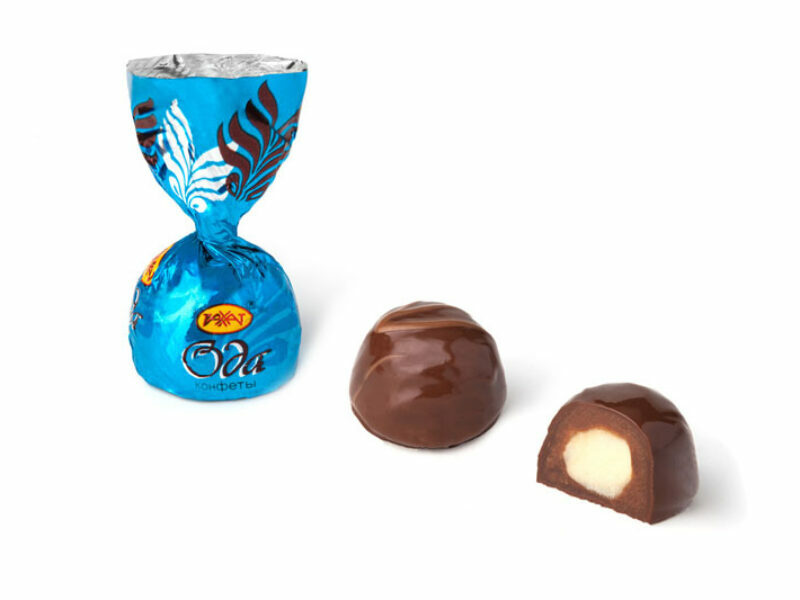 Composite dome-shaped fudge candy is coated with chocolate. The corps is coated with milk fondant with adding of cocoa powder and condensed milk with the tiramisu flavor. Truffle filling with milk flavor. Ingredients: sugar, condensed milk sugared, vegetable fats (palm oil), glucose syrup, cocoa mass, cocoa powder, cocoa oil, whole milk dried, whey solids, ethyl alcohol, water-holding agent – sorbitol; emulsifiers: soy lecithin, Е476, Е492; common salt, antioxidant – NovaSOL COF (tocopherol E307); stabilizer – invertase; cognac, aromatizers are identical to natural.